Studies have shown that a majority of the illnesses we suffer start within our guts. Yes, the gut environment usually has a number of microorganisms both beneficial and harmful. The harmful microorganisms are responsible for the illnesses but also, we have the beneficial ones that counteract that. Probiotics now come in to help improve the gut environment by creating the right microbial balance and population. It is for this reason that doctors encourage patients to take more probiotics regularly. Below are some of the benefits of taking probiotics regularly. The gut environment has bacteria that perform a number of functions and for them to function well then the balance needs to be right. Probiotics help create this all-important balance in the gut. If the balance is right, then it means that the beneficial bacteria will function in the right thus promoting good health. Your digestion will greatly be enhanced, with less constipation, bloating and gas build up. In the event that the bad bacteria and microorganisms outweigh the good ones then this poses some health risks. You will find yourself experiencing constipation, bloating, obesity, diarrhea, allergies, ulcerative colitis, and Crohn’s disease among others. The imbalance in these two types of bacteria can be brought about by illnesses, poor diet, medications among other predisposing factors. So, ensure that you always take a balanced diet, use only prescribed medications and also observe high levels of hygiene especially food. Since the gut has a number of microorganisms both bad and good, it means that you need to clean it up and keep it healthy always. Probiotics help to boost the beneficial microorganisms’ capabilities so that they can inhibit the effects of the bad microorganisms. Some studies have shown that certain probiotics have the potential to trigger the production of natural antibodies by the body. 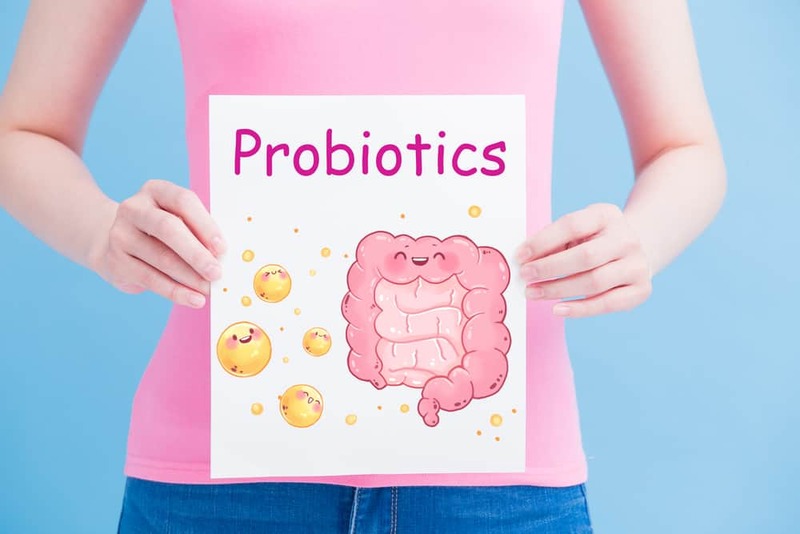 An example is the Lactobacillus GG probiotic which has been tested on children and found out that it can help fight off respiratory infections. Lactobacillus crispatus probiotics have also been shown to help the body produce antibodies to fight off urinary tract infections and other vaginal infections in women. For a start, you can try using VH Probiotics with Prebiotics and Cranberry for treating against vaginal and yeast infections. To boost your immunity, then you need to take probiotics regularly. Before taking them, ensure that the doctor has tested you for any intolerance. For more information on women probiotics, check out this source link. Do you find yourself in a position that you eat a healthy diet but still you do not see any change? Is your body still a bit leaner? Yes, this is a result of the imbalance that is present in your gut. No matter how much food you eat, the nutrients go to waste because they are not being absorbed into the body. This is caused by the imbalance in the microbial population which does not aid in the proper digestion of food and results in malabsorption of nutrients. If you want to realize the benefits of the food you ingest, then try probiotics. The nutrients will be absorbed in their right forms into the bloodstream and this will ensure your body uses them in normal functions.